TOWER OF DAWN by Sarah J Maas! 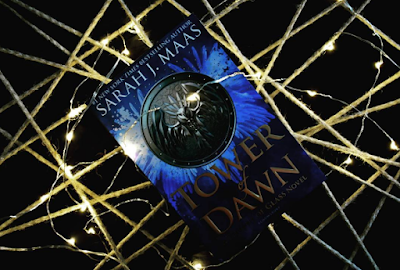 I've read this series over the course of four years, gotten multiple friends addicted to it, love talking to people about everything to do with the Throne Of Glass series and also Sarah J Maas' other series, A Court Of Thorns and Roses and so hosting this giveaway for the second to last installment of this series is such a dream come true for me. 1. This Giveaway is happening simultaneously on my Blog and my Instagram page, A Thousand Words A Million Books, so be sure to enter there and also tick off what you've done in the Rafflecopter here!